“Seaside is where it’s all happening,” said Sandy Palmer, artist in chief and proprietor of Five Star Henna, from her new location in Seaside. Palmer, a northern Californian, was a window painter who fell hard for henna after watching a YouTube video. During a vacation to Seaside eight years ago, she determined to move here and open a henna studio. Sarah, her daughter, also works in the shop and helped design the cool décor. 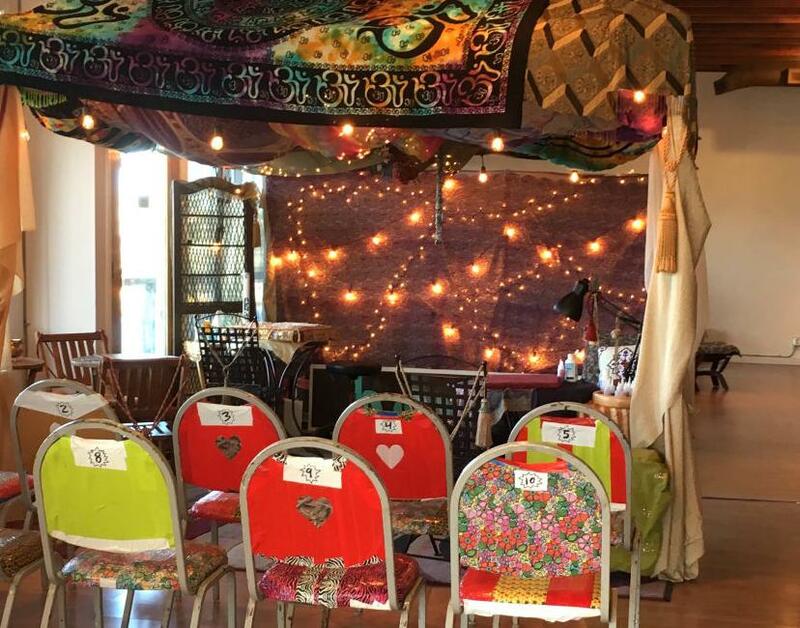 Five Star Henna is an enchanting place to hang out; while you’re waiting your turn under the magical henna tent, check out the cool merch — groovy incense, 3D tapestry, and energy clearing sage sticks. Henna, for those not in the know, is a natural, organic dye made from the powdered leaves of a tropical shrub. For hundreds of years it’s been used for body decoration; Cleopatra wore it. Eastern Indians elevated henna painting to a venerated art form; henna is incorporated into their lavish wedding festivals as well as religious ceremonies. The plant the dye is derived from grows naturally in Africa, northern Australia, and southern Asia. Palmer gets her henna directly from a lady in India. Once henna is applied, results, which fade gradually, can last up to four weeks. While young females on vacation make up the lion’s share of Palmer’s business, she also gets people who are considering a tattoo who want to test drive a henna version first for placement. Palmer says it’s not unusual for a group to come in, say a beach volleyball team, all wanting the same design. Call it a tribal thing. That’s where the party atmosphere kicks in. Patrons select a design from a wide array of suggestions provided by Palmer. I showed her a picture on my phone and she duplicated it. The price of henna application depends on the intricacy and detail of the design. Palmer commented on how there are myriad recreational opportunities in Seaside for those 21 and up. Henna is something everyone can enjoy, age regardless. For years, I’ve fantasized about getting a tattoo, but so far haven’t been brave — or committed — enough. I asked Palmer draw the classic reiki symbol, cho ku rey, on the back of my hand. It’s lasted two weeks so far. I couldn’t be happier. I’m definitely going back to do it again. Five Star Henna is located at 600 Broadway in Seaside, right next to the Broadway Bridge, on the north west corner of the Historic Gilbert District neighborhood. April 6 Seaside First Saturday Art Walk www.Coastweekend/ Discover our Coast article. SEASIDE — Celebrating 15 years in 2019, the next Seaside First Saturday Art Walk will be held 5 to 7 p.m. Saturday, April 6. 1.Starry Night Inn, 811 First Ave. 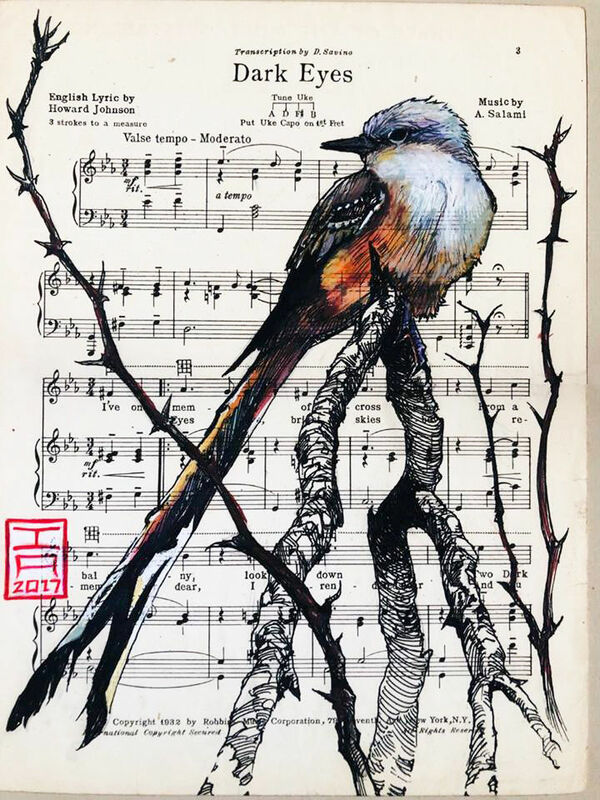 Introducing Ian Anderson, whose ink drawings on castaway tomes such as aps, pamphlets, songbooks, dictionaries and old magazines have become his brand. 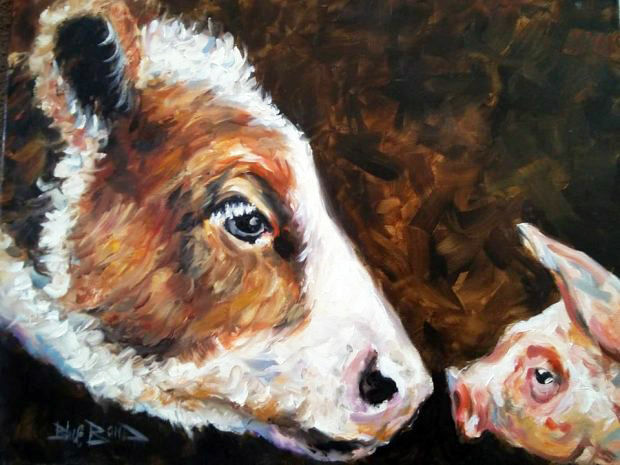 Featuring oil paintings and acrylics by Blue Bond, a Seaside artist whose specialty is portraits and wildlife. With more than 50 years of experience, the artist teaches one-on-one classes in oil and acrylic to novices and experienced painters alike. Featuring Ty McNeeley’s photography, Suzanne Vaughan’s mosaic sculptures, Quata Cody’s paintings, Louis Andrew Schaffer’s handblown glass, J. Wesley Willis’ paintings, Nancy Bosse’s slumped glass, Cindy Erickson’s fine art jewelry, Bud Egger’s bronze and marble sculptures, and Julie Olson’s pastels, oils and giclees. 4. Westport Winery, 810 Broadway St. Featuring Josh Fry, a self-taught native Seaside artist who creates using spray paint cans combined with complex stencils. A firm believer that anyone can make art with practice, he produces a YouTube series, teaches classes and does live painting shows for area youth and other organizations. Featuring local artists ranging from the amateur to the professional. The Whet Spot offers a relaxed, friendly, adults-only atmosphere where patrons can enjoy craft beers, ciders and wines. Featured artist Richard Amacher from Cannon Beach Glassworks has been blowing glass since 2000. He uses the highest quality German glass and the colors are made by North Star in Portland, OR. His glassware is dishwasher and microwave safe. He also does lots of custom glass work from lamps to vases. 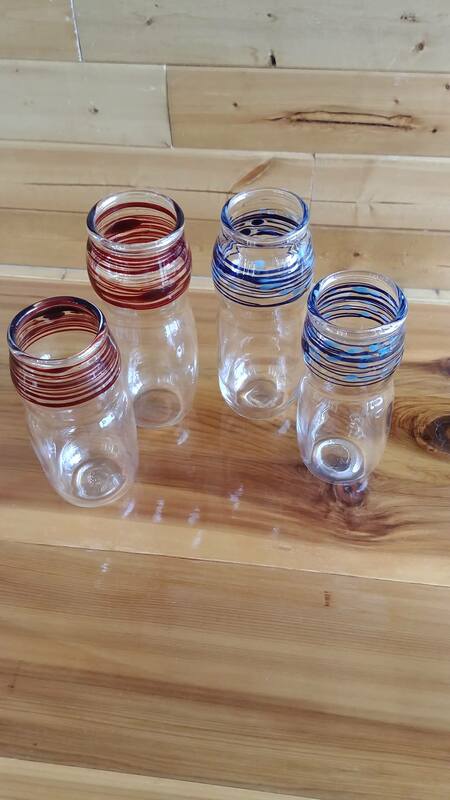 This is just a sample of the glassware we will have for the Art Walk. Hosting two Pacific Northwest makers. 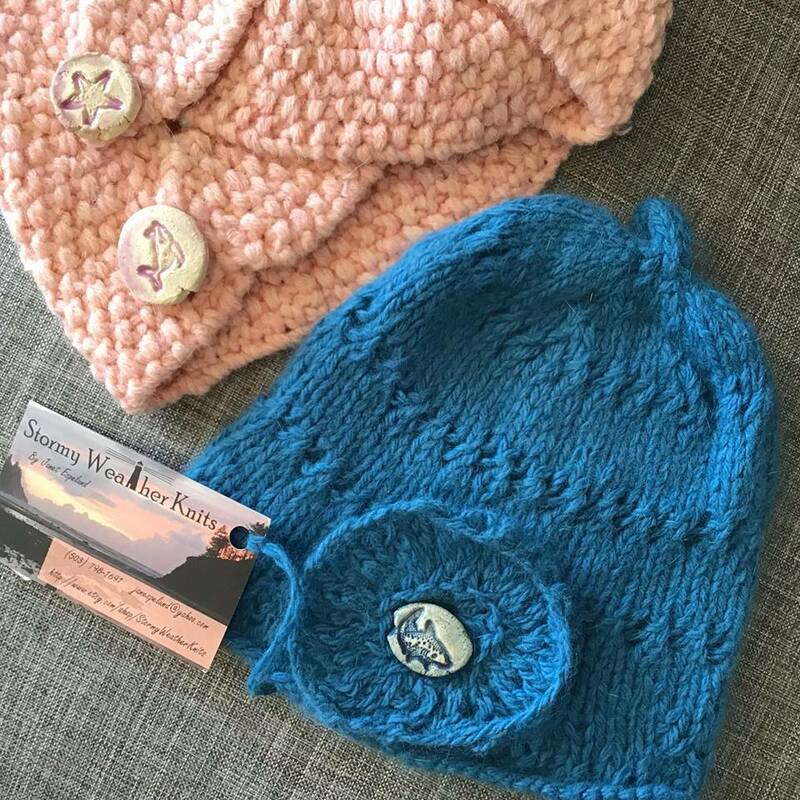 Bigfoot Yarn Co. will offer a mix of beautiful hand-dyed yarns from Bremerton, Wash., and Stormy Weather Knits will offer hand-knit beanies, headbands, kids hats and other keepsake knit items. 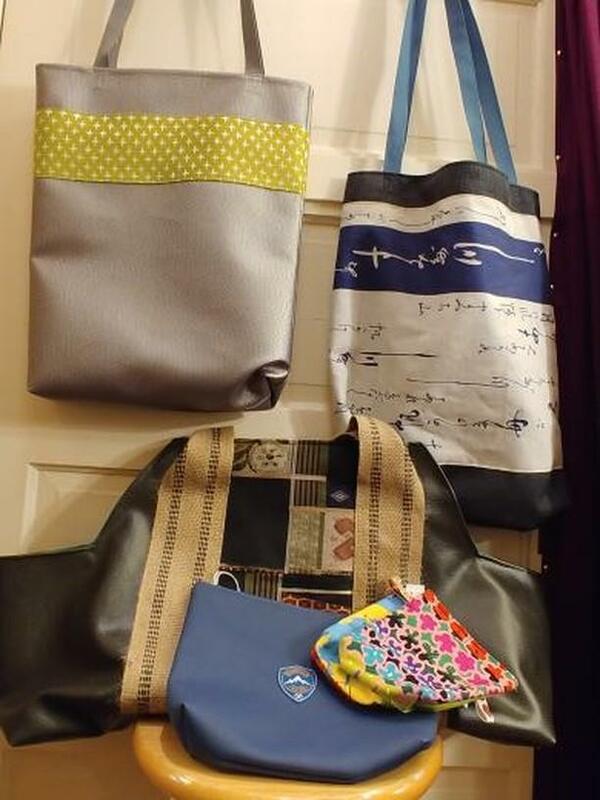 Seaside Yarn and Fiber is so excited to host two PNW makers at the April art walk! Idie-dyer, Bigfoot Yarn Co. will be bringing a mix of beautiful hand-dyed yarns from Bremerton, WA to inspire you to start your next project! Also featured in April, Stormy Weather Knits will be in the shop, selling hand knit beanies, headbands, kids hat and other keepsake knit items. Whether you knit or crochet – or not! – there’s sure to be something to spark your interest! Stop by and say hello and support handmade. 7. Art-in-the-Loft at Beach Books, 616 Broadway St.
Carole Zenny and Lori Hicke are mixed-media artists dedicated to following their creative dreams wherever they take them. Zenny is a French artist born and raised in a French Colony Island in the Western Caribbean. Hicke is a multimedia artist whose work embraces several creative disciplines, including painting, printmaking/collage and hand-painted, functional, ceramic art pieces. 8. Fairweather House & Gallery, 12 Broadway St. Opening artist reception for “Life Abundant,” featuring artists Bill Baily, Barbara Bacon Folawn, Martha Lee, Emily Miller, Veronica Russell, Jan Shield, Russell J. Young, introducing oil painter James Waterhouse and watercolor artist Carolynn Wagler. Painting demonstration, live music by Shirley 88 and a local habitat lecture at 6 p.m.
9. Pacific Heirloom, 608 Broadway St. Featuring the plate collection of P. Buckley Moss — art-filled with a lifetime of experiences, from her Irish-Italian heritage to her urban art school education, from the laughter of her children to the simplicity of birds flying. 10. SunRose Gallery, 606 Broadway St. Featuring whimsical art by Ronni Harris, who sketches designs on fabric, paints in acrylic and highlights her art in stitching techniques. Also featuring artists Jan Barber, Robin Montero, Susan Hildebrandt, Bill Vlek, Vicki Sullivan, Patty Thurlby and Cathy Tippin. 11. Shine Fair Trade, 609 Broadway St. 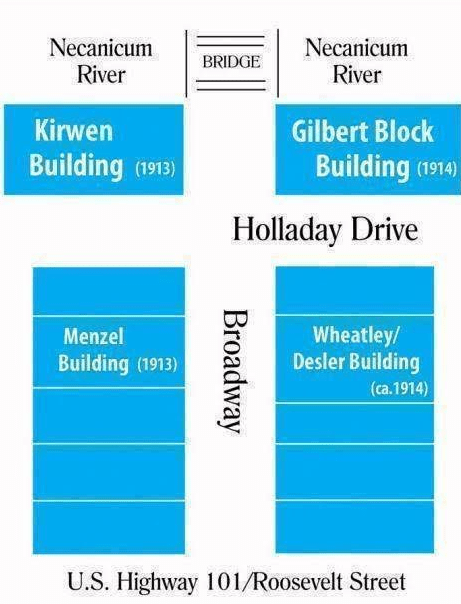 The Historic Gilbert District map courtesy of KP Graphic Arts. 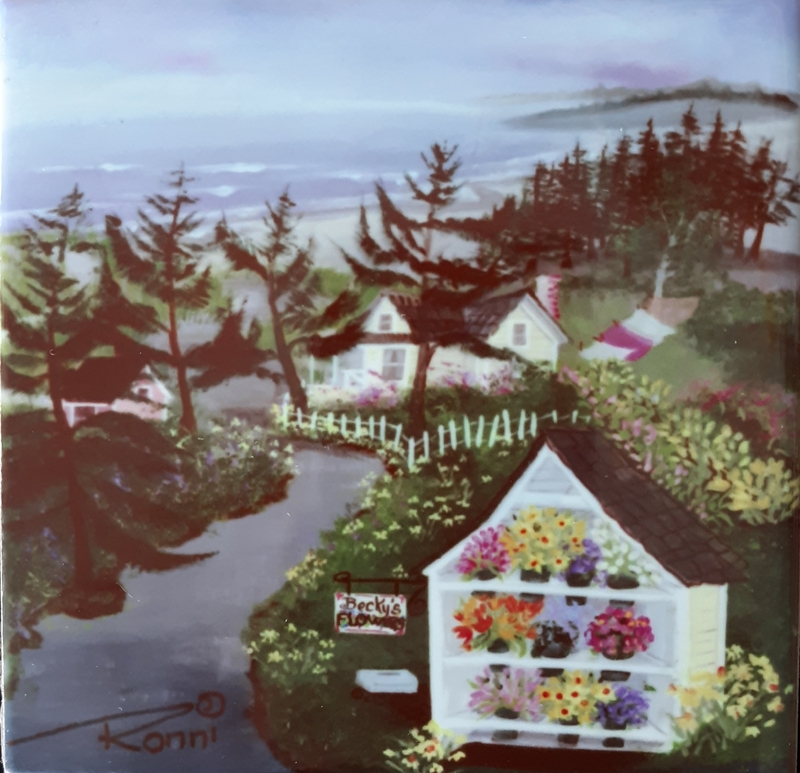 Find additional original art during the day at Seaside Coffee House, 3 N. Holladay Drive; Seaside Antique Mall, 726 Broadway St.; and Dough Dough Bakery, 8 N Holladay Drive. Welcome to the Historic Gilbert District. Line X of Clatsop County. LINE-X of Clatsop County offers bed liners and specialty coatings for automotive as well as protective coatings for commercial and residential use. We also offer a selection of accessories for automotive and every day use. LINE-X of Clatsop County is a brand new LINE-X location dedicated to providing outstanding product and service to the North Oregon coast. As we embark on this journey, we invite you to follow our progress and share your ideas for success. 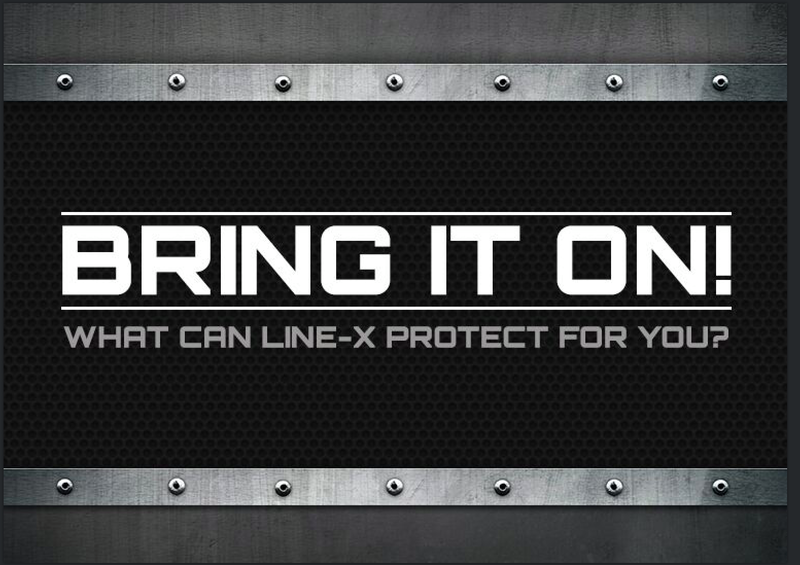 Line-X has coatings for waterproofing, rust resistance, anti-skid/slip, chemical resistance, UV protection and more. We look forward to growing awareness around the products we offer and showcasing the wide range of uses (think outside the bed liner)! In addition to coatings, Line-X has recently launched Truck Gear by Line-X. 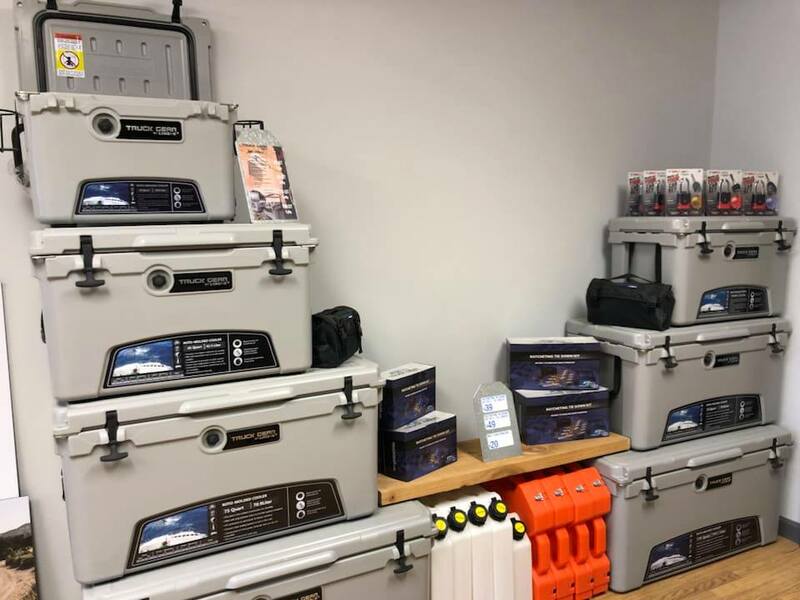 Truck Gear produces quality aftermarket automotive accessories and will be one of many brands that can be found in our new showroom. The business is owned and operated by CeeCee and Travis Wakefield. Both are committed to fostering relationships within the community, giving back to non-profit organizations and honoring our local military and first responders. Whether participating in a community event, hosting a field trip or lending time to volunteer, Line-X of Clatsop County looks forward to making a positive contribution to the North Oregon coast. P.S.S.T. Another new business arriving in the Historic Gilbert District. Located in the former McKeown’s Irish Pub. Located in the Wheatley/ Desler building block of the Historic Gilbert District in downtown Seaside. 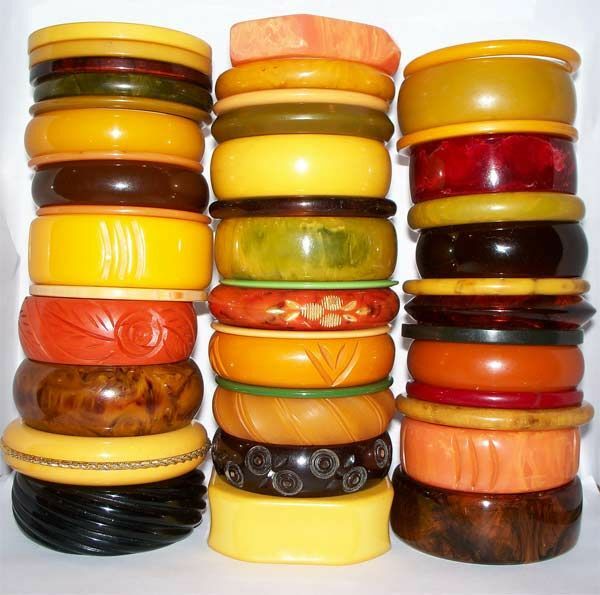 In addition, will feature vintage Bakelite accessories, a collection of home textiles and decorative candles. Soft opening by spring break 2019. Paula has goods in several other locations in the Northwest, as well, Monticello Antiques in Portland and an antique store near Mount Angel in Oregon. Welcome to the Historic Gilbert District. 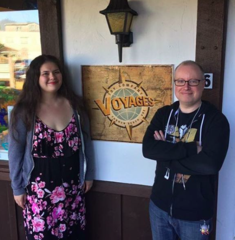 Voyages Toys now in Seaside. In the Gilbert Block building. Enhance your visit to the Oregon Coast by visiting Voyages Toys. Talk with our expert staff to learn about the best toys for the beach, the most popular puzzles, and the latest award-winning games. Jeremy, originally from Astoria, OR, has spent the last 16 years working professionally in Project Management. He has worked for companies such as Hollywood Video, Starbucks Coffee Co., and KinderCare Education. In 2010 he started his own company Cosmic Reads, LLC. A company that sells high grade comic books online at www.cosmicreads.com. Where he also spent time as an authorized witness for comic book signatures for CBCS comic book grading. He is married to Sally and together they have one son named Charlie. Sally, originally from Cornelius, OR, spent 15 years working for OHSU. Over the past several years both Sally and Jeremy have been attending comic book conventions all over Oregon, Washington, and Texas. To promote face to face interaction through tabletop games, to encourage outdoor play, and to boost awareness of the amazing talent that exists in the comic book industry. 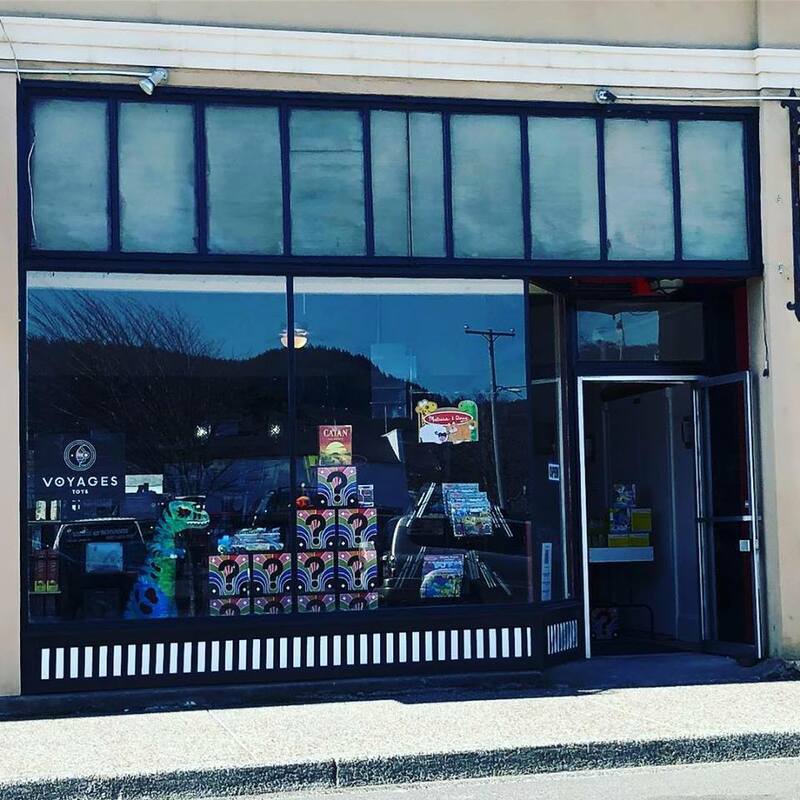 Located in Sandpiper Square in Cannon Beach, this location has been a toy store for over 20 years. Featured in the window of the Seaside Shop. A Pop Culture Toy, Comic, and Game, Rainbow Road Mystery Box. A variety of pop culture toys, comics, and/or games! With an overall retail value of AT LEAST $80 and UP TO $200! 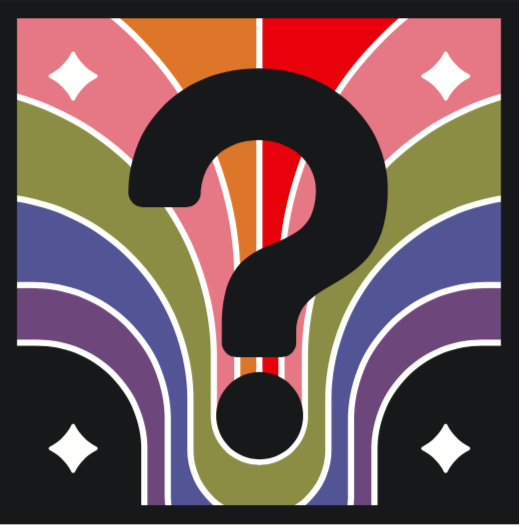 If you are into superheroes, sci fi/fantasy movies, tv shows, or other pop culture fandoms… Mystery Boxes! Everything in the box is NEW and ordered specifically for these boxes. From the Seaside Visitor’s Bureau. 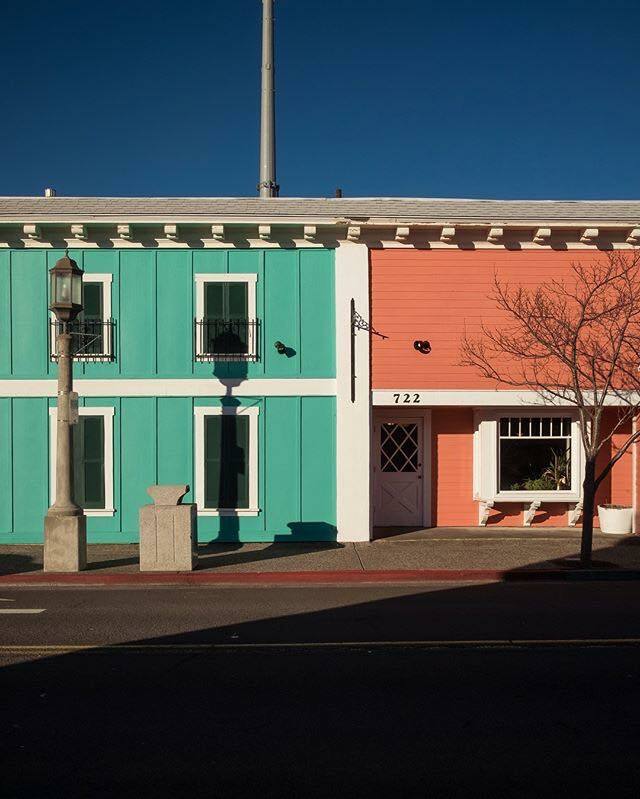 Photo of the corner Wheatley/ Desler Building located in the Historic Gilbert District of downtown Seaside. Seaside, Oregon, is known for its downtown murals and active arts scene. As one of the best known beach destinations in the Pacific Northwest, Seaside has a reputation for stunning sunsets, inviting sand, and proximity to incredible hiking trails that wander along both the sandy shores and rugged bluffs. In addition to its scenic beauty, though, Seaside is also full of rich history and embraces artists from all walks of life. From art walks to museums to festivals, this Oregon Coast gem has an ocean’s worth of art and culture to explore during your next visit. 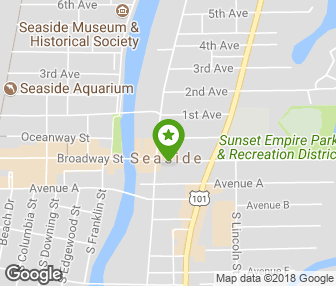 Visiting Seaside when there is not an Art Walk? Don’t fret. Seaside’s art community is well represented all year long. Must-stop art galleries include the Oregon Gallery, the SunRose Gallery, the Fairweather House and Gallery, and the numerous murals spread all throughout town. The Seaside murals are an attraction in themselves and capture the spirit and culture of this idyllic coastal town. Colorful, iconic, and full of the coastal spirit you’d expect to see, the murals, which are perfect for selfies in the salty air, adorn buildings all around town. The short list. March 2 Seaside First Saturday Art Walk located in the Historic Gilbert District. The Seaside First Saturday Art Walk, celebrating 15 years in 2019. This event takes place between Holladay Drive and Broadway Street in the Historic Gilbert District of downtown Seaside. Featuring eight artists who offer original oil, watercolor and pastel paintings as well as bronze, glass and marble sculptures and photography on canvas. In addition, offering historical posthumous works available from a private collection. Featuring Josh Fry, a self-taught Seaside artist who creates work using spray paint cans combined with complex sets of stencils. A firm believer that anyone can make art with practice, he has produced a YouTube series, teaches classes and does live painting shows for area youth or other organizations. Featuring oil on canvas paintings and acrylics on board by Blue Bond, a Seaside professional artist with a degree from the San Francisco Art Institute. 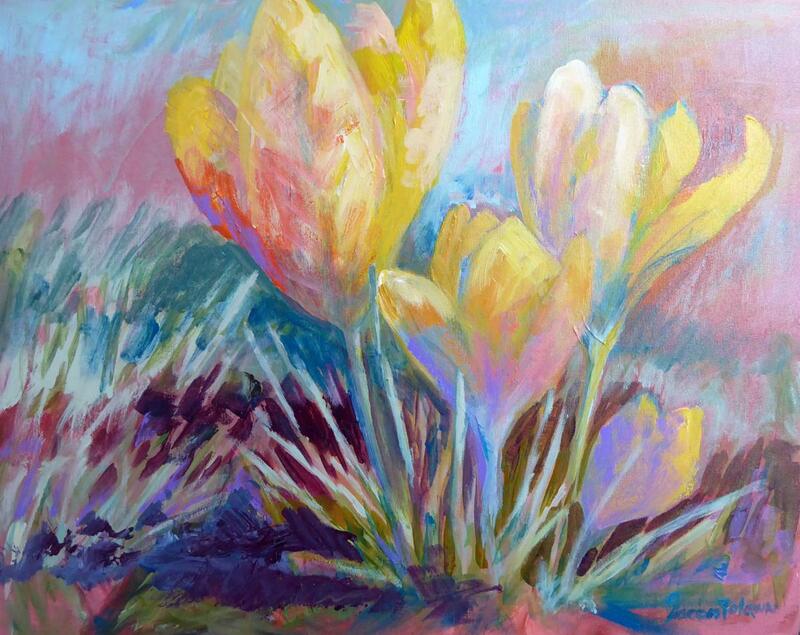 The artist teaches in oil and acrylic to novices and experienced painters alike. Featuring felted flowers handcrafted by artisans in Nepal, baskets hand crafted in Africa and hand painted purses by Sandy Higgins, local artist. As a member of the Fair Trade Federation, Shine Fair Trade demonstrates a genial and equitable approach to conducting business. Introducing the mixed media art of Jan Barber who creates Spirit Dolls designed to bring encouragement, inspiration, healing and comfort. Building layers of vintage ribbon and lace around a driftwood frame, she tucks in words that stem from her themes. Also featuring new art from Robin Montero, Zemula Fleming, Patty Thurlby and Cathy Tippin. Serving light appetizers. Opening artist reception for “March,” an exhibition, featuring Dr. Dale J. Veith, fine art photographer, Russell J. Young, Leah Kohlenberg, Bev Drew Kindley and Mary Hurst, Celtic jewelry designer. Offering a Painting Seaside LIVE ™ demonstration by Carolyn Macpherson, music by Shirley 88 and habitat lecture by local naturalist Neal Maine at 6: pm. 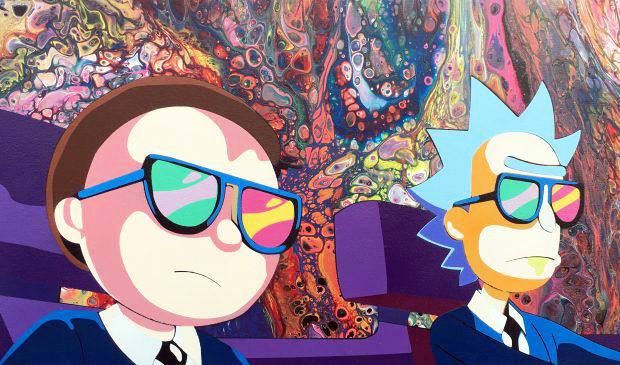 Introducing artists from the Portland Metro area. Carole Zenny and Lori Hicke are mixed media emerging “Emergence III” artists dedicated to following their creative dreams wherever it takes them. Carole Zenny was raised in a French Colony Island in the Caribbean. Her upbringing had a strong influence on her abstract expressionist work, as she is drawn to painting expressionistic, small town scenes. 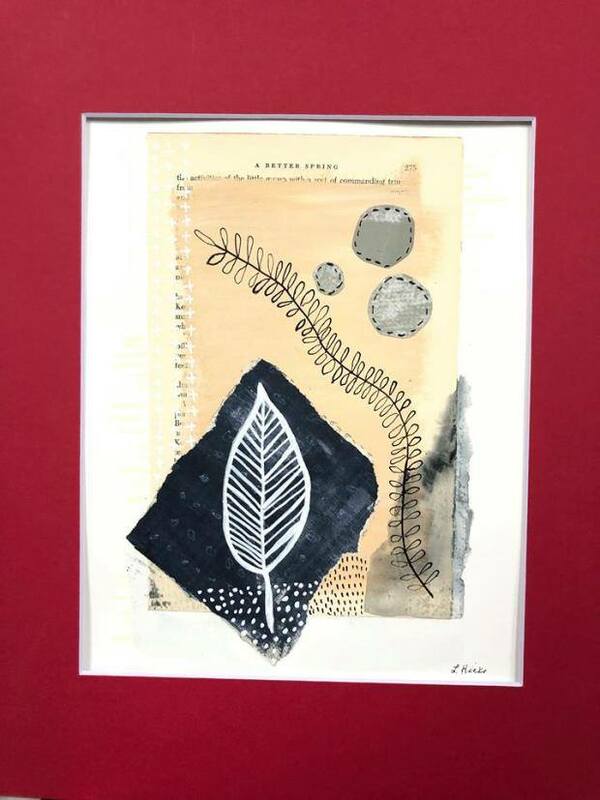 Lori Hicke works in several creative disciplines; painting, printmaking/collage and hand painted, functional, ceramic art pieces that are illustrative and grounded in contemporary folk art roots. Featuring artist Scott C Johnson, who paints in watercolor and acrylic creating subtle references to the spring season with detailed tiny leaves showing what is just beyond and approaching. Featuring new hand-dyed colorways and offering yarn spinning demonstrations during the Art Walk. Taking registrations for spinning classes. Inspiring community and creativity, Seaside Yarn and Fiber is an outlet for crafters of all levels. Featuring local artists ranging from the amateur to the professional artist for the purpose of providing Art Walk visitors access to a wide range of art. In addition, The Whet Spot offers a relaxed, friendly, adults-only atmosphere where patrons can enjoy craft beers, ciders and wines. 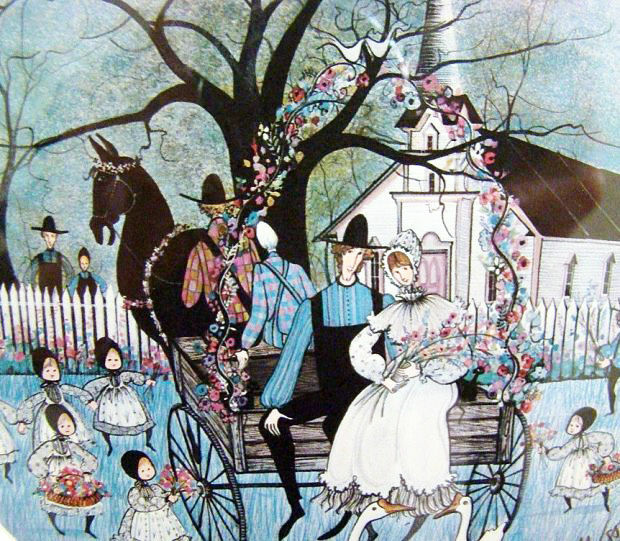 Find additional original art during the day at Seaside Coffee House, 3 N. Holladay Drive; Seaside Antique Mall, 726 Broadway St.;and at Starry Night Inn, 811 First Ave. Salon on Broadway located in the historic Gilbert District of Seaside. The words, “Brazilian Blow Out” and “Moroccan Oil” may not have a lot of meaning to you, that is unless you’ve been exposed to the higher realms of hair care a person might take for granted at a sophisticated city hair salon. But now you can experience these products, and other luxurious hair treatments at a new salon in Seaside — and at a fraction of city costs. Kegan French and Will Witt. French was born in Germany. He grew up in Utah on an Air Force base. He comes from a family doctors and other medical professionals and was expected to follow that path. Instead, while still a college student, he became a stagehand and wardrobe technician in Salt Lake City. It wasn’t long before he ditched the career path his family envisioned for him to enroll in Paul Mitchell, The School, in Salt Lake City. He seriously began to study hair care, graduating as a cosmetologist in 2011. Eight years ago, French followed his mother, Mary French-Peterson, to the Oregon Coast. For a time he ran the hair salon at Necanicum Village. He had a salon in Astoria. Then he found out about space available in the newly renovated Westport Winery building and a bell went off. “I knew right away this was where I wanted to be,” French said. Salon on Broadway focuses on specialized, premium services. Salon on Broadway is a unique space. While it has a modern, industrial feel, at the same time it feels more like a spa than a hair salon. There is a relaxing private room for the specialized facials. Expect world-class service and cutting edge treatment. And then there’s the energy work. French is a resource for his clients in chakra care, quantum healing and hypnotherapy. 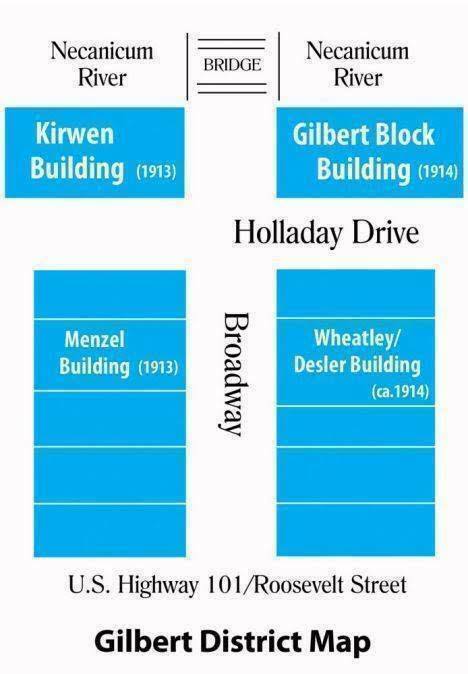 Salon on Broadway is located in the historic Gilbert District of downtown Seaside in the Wheatley/ Desler Block. The layout of Seaside Kites located inside Westport Winery Seaside. The Roberts family, owners of Westport Winery in Seaside, operates Seaside Kites at 810 Broadway located in the historic Gilbert District of downtown Seaside. Winery co-owner Kim Roberts, who partners with her husband Blain, daughter Carrie and son Dana, said she hopes kids can enjoy the shop while parents spend time in the nearby tasting room. The kite shop’s tag line is “the sky’s the limit,” reflective of their purchase of the building in January. Since then the family has made significant investments in the property, including deferred maintenance, painting and repairing. The store was aided by Doll Camp, who has owned Cachalot Kites in Westport, Washington for more than 40 years. She focused merchandise on affordable, colorful, and easy-to-fly kites for all ages. Seaside Kites is located in the Wheatley/ Desler Building Block of the Gilbert District. Welcome Angi D Wildt Gallery. Gallery entrance is off Avenue A behind Broadway. Whether decorating, collecting or appreciating, you will find a beautiful selection of hand blown glass, unique bronze sculptures, photography, original oils, giclees on canvas, fused glass & mosaic glass sculptures. The grand opening will be in conjunction with the End of the Trail Pub that is opening in this same building around March 2019. Paintings by Quata Cody and Harry Bennett, Glass Mosaics by Suzanne Vaughan Art, Fused Glass by Nancy Bosse, Hand Blown Glass by Louis Andrew Schaffer, seashells from the Ocean. c. Angi D Wildt Gallery. Angi D Wildt Gallery is located in the Menzel Building Block in the historic Gilbert District of downtown Seaside. Dedicated parking for Angi D Wildt Gallery is to be found on the south side (aka as the sunny side) of the Menzel Building, just off Highway 101 at Broadway. Celebrating 15 years in 2019, the Seaside First Saturday Art Walk, is a free event and is open to the public. 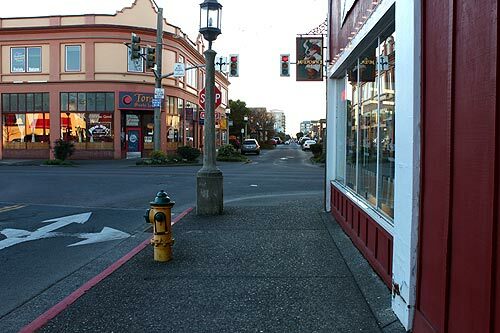 The Art Walk is all about seeing art in the galleries and boutiques located between Holladay and Broadway in the historic district of downtown Seaside.